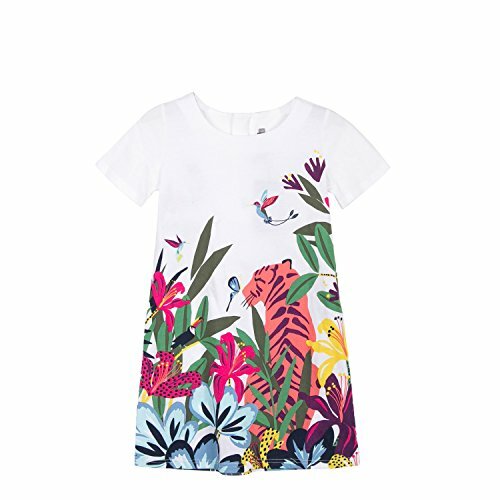 Short-sleeved dress in soft jersey with large jungle print for a chic and bohemian girl's look. Vibrant, intense colors make up a painting-like design on this light dress with ribbed neckline and visible metal zip on back. If you have any questions about this product by Catimini, contact us by completing and submitting the form below. If you are looking for a specif part number, please include it with your message.